Services – Idea Print Works Inc. 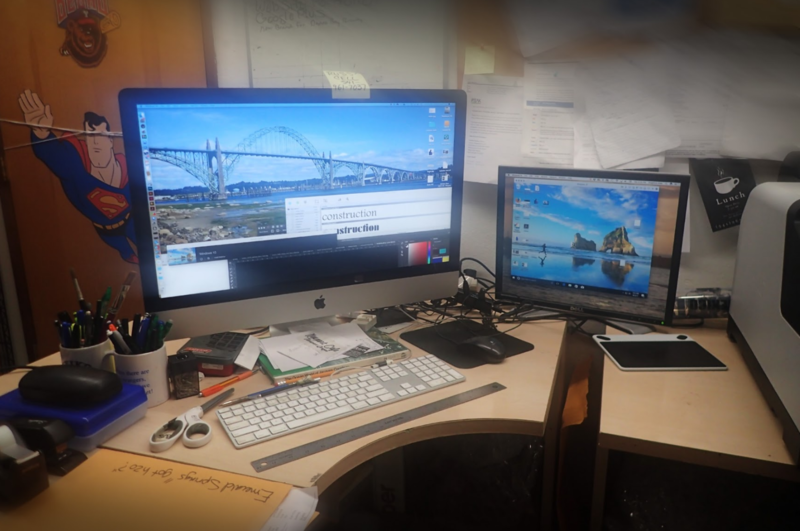 Idea Print Works is your local, big/little print shop on the Oregon Coast. We are a no-frills shop that has been suppling shirts, hoodies, hats, polos, bags, banners, etc. to customers up and down the west coast since 1979. We are a little old school, our shop is dusty and noisy, but we work hard, have very competitive prices, and bend over backwards to complete your order on time. 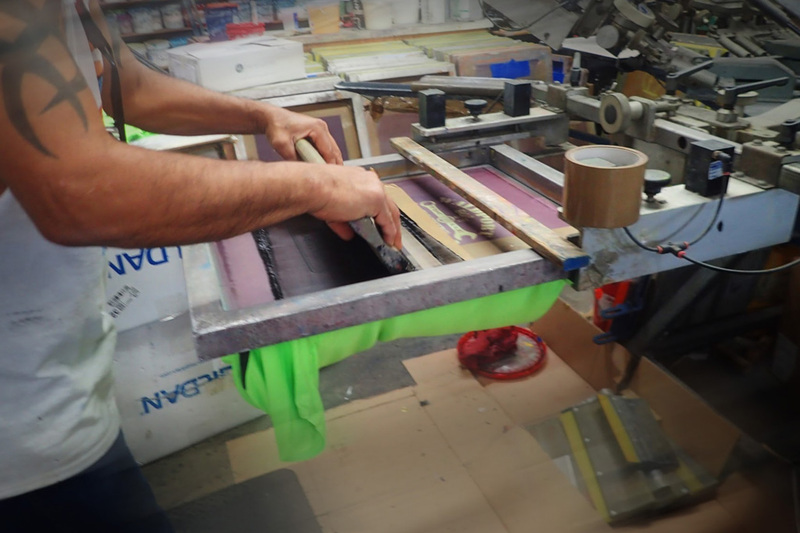 Screen printing is the process of applying ink to fabrics using a printing press. 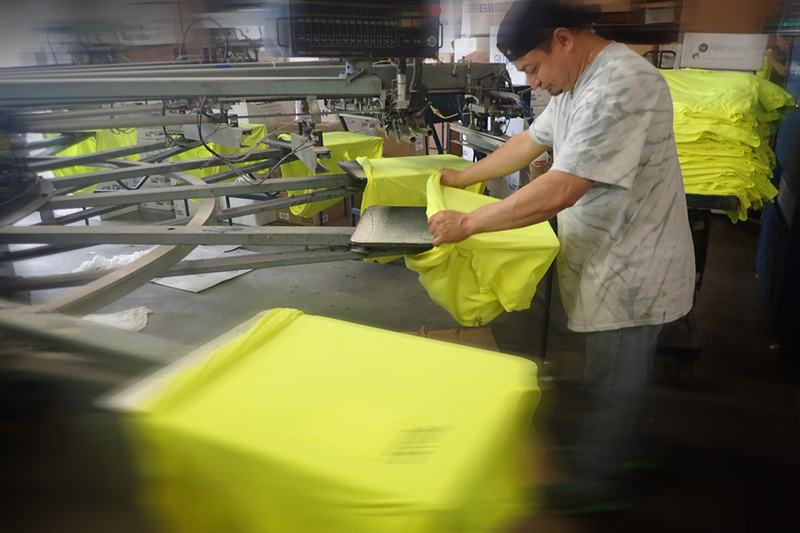 We typically choose screen printing for garments that can handle heat like 100% cotton, cotton/polyester, and certain polyester garments. 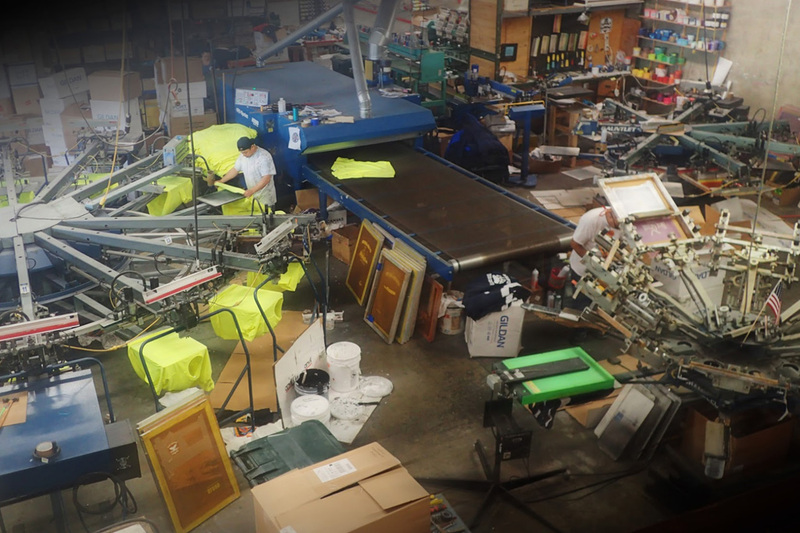 Screen printing work great on t-shirts, hoodies, uniforms, sweatpants, safety vests, bags, and more. Can I bring in my own t-shirts? We prefer to order the shirts for you. 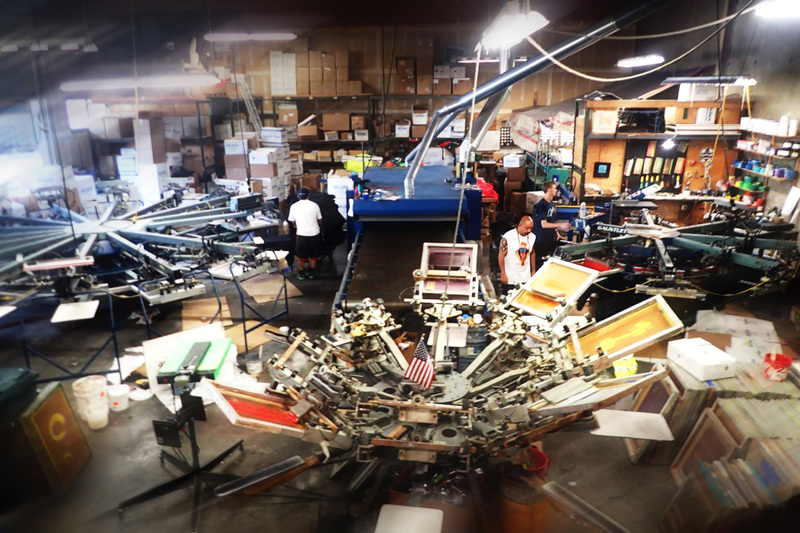 We order from vendors who’s garments have been tested for screen printing. Some t-shirts might shrink with heat or the shirt color bleeds into the ink. 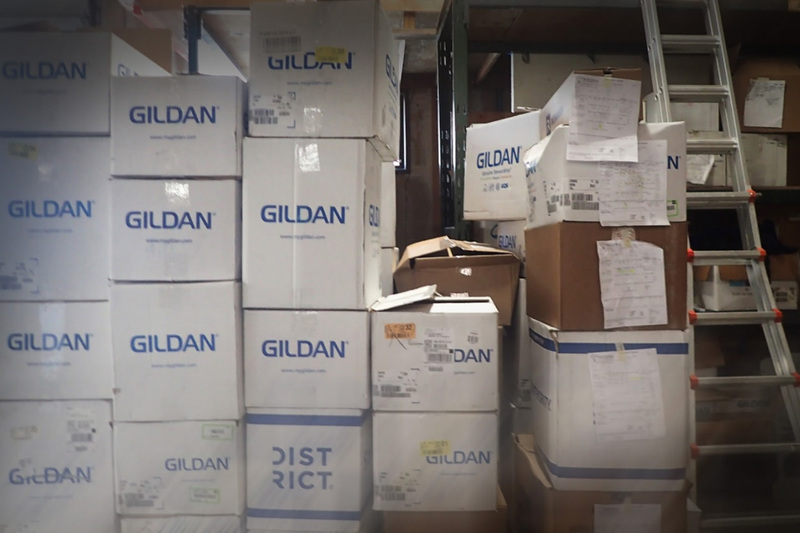 We order shirts everyday and they usually get here in 24 to 48 hours. Plus you will get a better deal from us! Embroidery is the the process of sewing thread on garments. 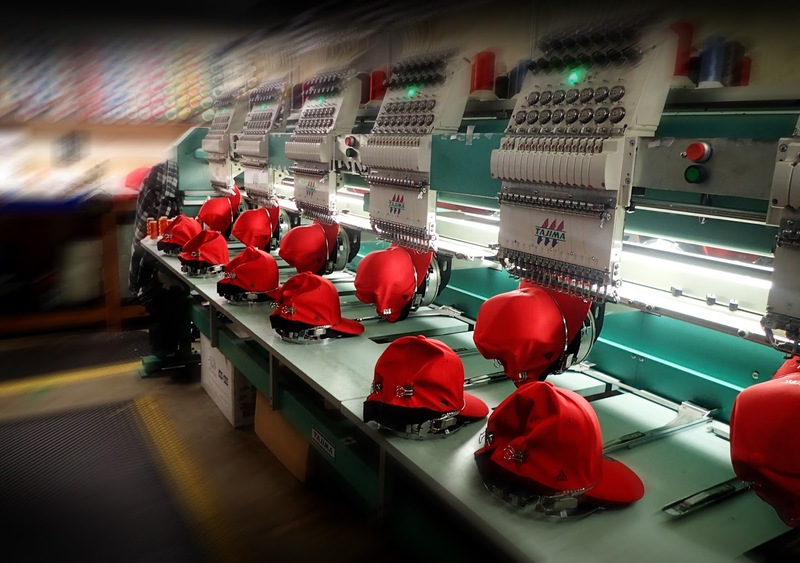 Embroidery works great on polos, hats, beanies, jackets, aprons, and more. There is a once time set-up fee for digitizing your logo. Once we have it in the system you can order and anytime with no garment minimums. Your team will look professional with your company logo sewn on a nice polo or jacket! Don’t have a logo? Our in-house artist can fix that for you! Need help coming up with a design? Let our creative, in-house artists come up with one for you. All we need is your ideas. You can always find a style of design online to give us some direction of what you want. Starting a new business and need a logo? We can help you will that as well. Just about anything can be branded with your logo. We are your source for banners, drink coolers, stickers, pens, glasses, mugs, flags, and more. We can’t do everything at our shop, although we work with trusted, wholesale vendors all across the country to get you a good deal.